Optel helps you implement smart and mobile factory solution. 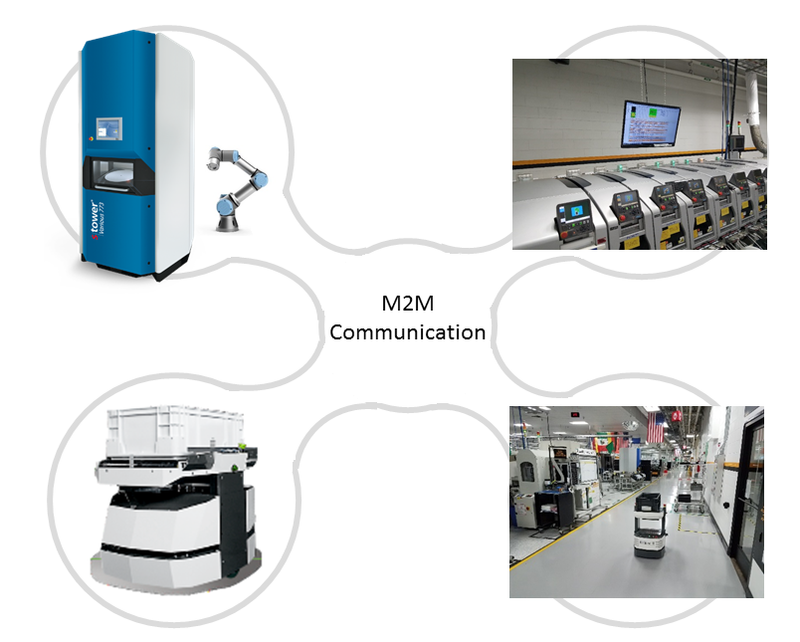 A smart factory consists of smart subsystems of automation that communicate with other subsystems using a standard communication protocol. Intelligent subsystems must be able to perform their function unattended, while collecting all data needed to support business decisions. 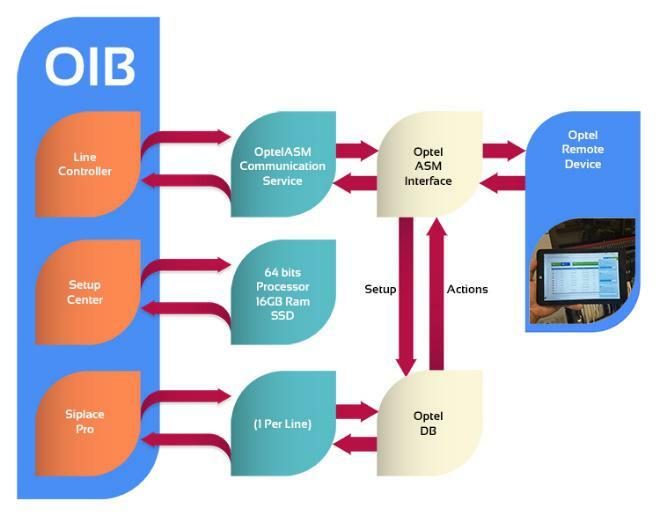 To achieve lights-out electronics assembly, Optel supports integration of the following concepts into a smart factory design: intelligent and real-time production scheduling and control, smart materials management, smart interfaces, mobile solutions, robotics, plant-wide real time performance report and manufacturing intelligence. From automatic and error-free materials receiving, applying lean concepts to perform most of setup activities off line, to touch free material replenishment supply and automatic line program changeover, Optel applies smart and mobile factory solutions to minimize possibility of error, reduce manual handling and overhead. During the production, Optel helps achieve a self-correcting assembly line through intelligent process control and feedback to equipment. Optel applies artificial intelligence techniques to schedule and optimize assembly lines. The goal is to keep equipment running longer and faster and eliminate all reasons from keeping lines down. Automatic and touch free delivery of materials to the line is essential to minimize WIP, labour requirements, and possibility of error. Many Optel functionalities are mobile and can be run on any mobile devices. 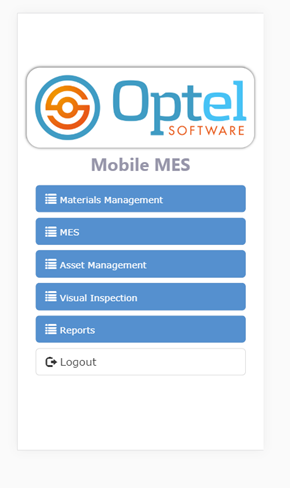 Complete materials management, MES functions, asset tracking, and reporting are some of the functionalities “gone mobile” already. Work order release based on customer demands/orders. Production monitoring to meet productivity goals. Monitoring machine performance and maintenance alerts and scheduling maintenance actions. Monitoring quality dashboards and addressing excess defects, scrap, and downtimes. Monitoring materials inventories and making sure components are ordered on time; i.e., reorder Kanban signals are working. The control room is a set of dashboards, reports and alerts monitored by skilled supervisors ready to address any problem that may appear in production.